The European Union has tasked Dutch authorities to inspect horticultural products which enter Europe, to assess potential pests and diseases. This has major implications for the South African fynbos industry, in particular the wild fynbos harvesters. 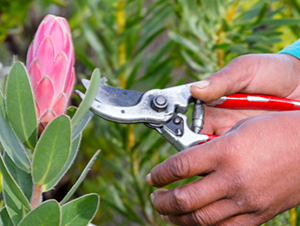 According to a letter distributed by Cape Flora SA (the fynbos industry’s representative body), the fynbos industry is encouraged to improve its insect and disease controls, if they are to continue to be in a position to export fynbos to EU markets. Wild fynbos harvesters were highlighted as vulnerable to the warning signs from the EU. The letter notes that the threat to the industry is to be taken seriously, following the challenges that the fruit industry is experiencing with Citrus Black Spot – a fungal disease. The disease is currently threatening the viability of the R8-billion fruit sector. In November last year, the EU banned citrus fruit from SA, even though a study showed that the disease could not spread to crops in Europe. More recently, the European Commission authorised stricter import requirements. 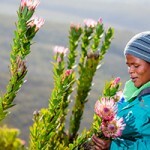 Kosie Lourens, a member of the Sustainable Harvesting Programme and the Protea Producers of SA (renamed Cape Flora SA) Board member representing the wild fynbos harvesters, said that wild harvesters should inform themselves of the new criteria, to ensure they meet the standards set out by the EU. He said wild harvesters do not make use of specific treatments for the fynbos before they’re exported. As such, the new criteria could impact heavily on them. The costs of destroying consignments would prove very damaging to the industry. 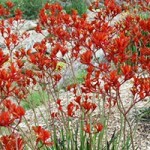 Cape Flora SA has put forward recommend insect and disease controls. They have also suggested flower packers receive training to spot and report quality issues.